Have you ever given a hatchet as a gift? 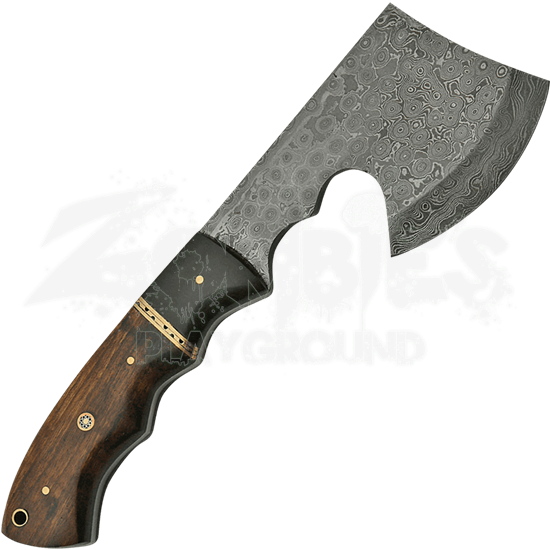 This Damascus Camp Hatchet is a handsome survival tool or collectible weapon. The beveled blade is equally well suited for throwing competitions or clearing vines and brush in your yard. Created by folding two or more types of molten steel together, each Damascus steel axe displays a unique pattern. The full tang hatchet is contoured at the handle for a comfortable grip. Brass fittings gleam against the rich walnut wood handle that has been carved to match the shaped tang of this hunting hatchet. A brass-lined lanyard hole allows for custom cord attachments. A custom fit leather sheath is stitched and tooled to protect your survival hand axe when not in use. 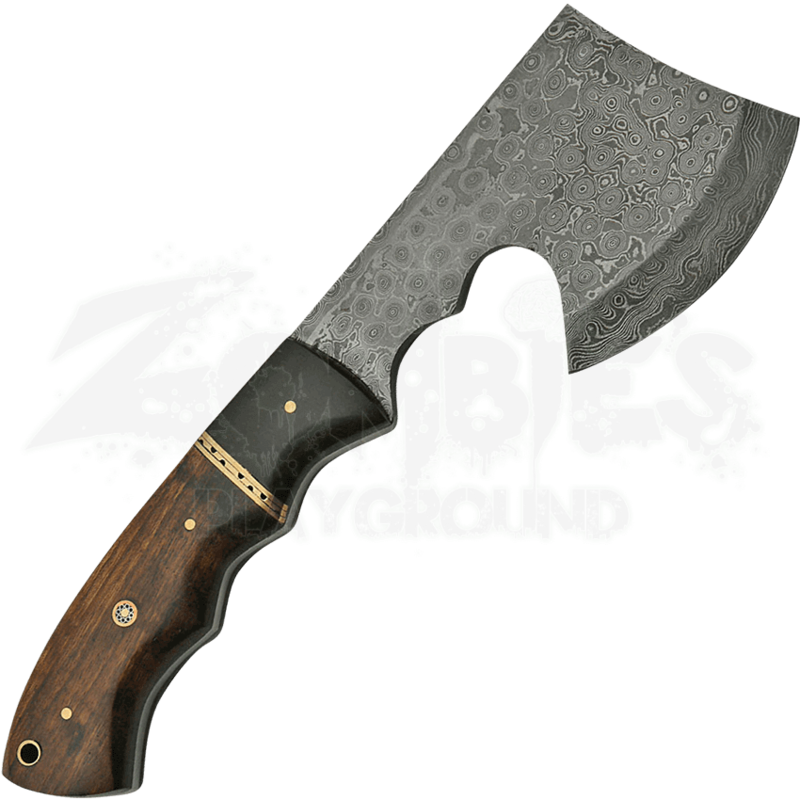 The Damascus Camp Hatchet is a fantastic tool to keep with your camping gear or bug-out bag.